Essay, Paragraph or Speech on “The Autobiography of Venus – the Jewel of Sky” Complete English Essay, Speech for Class 10, Class 12 and Graduation and other classes. Essay, Paragraph or Speech on “The Autobiography of The Smallest Planet of Solar System — Mercury” Complete English Essay, Speech for Class 10, Class 12 and Graduation and other classes. Essay, Paragraph or Speech on “The Autobiography of An Abused Child” Complete English Essay, Speech for Class 10, Class 12 and Graduation and other classes. Essay, Paragraph or Speech on “The Autobiography of A Nationalist” Complete English Essay, Speech for Class 10, Class 12 and Graduation and other classes. 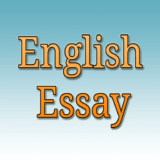 Essay, Paragraph or Speech on “The Autobiography of An Essay Book” Complete English Essay, Speech for Class 10, Class 12 and Graduation and other classes. Essay, Paragraph or Speech on “The Autobiography of A Computer Mouse” Complete English Essay, Speech for Class 10, Class 12 and Graduation and other classes. Essay, Paragraph or Speech on “The Autobiography of a Boy Wishing to Be Rich ” Complete English Essay, Speech for Class 10, Class 12 and Graduation and other classes. Essay, Paragraph or Speech on “The Autobiography of A Weaver” Complete English Essay, Speech for Class 10, Class 12 and Graduation and other classes.